Television is getting scarier. Horror has always had an on-off relationship with the small screen dating back to the Twilight Zone and Tales from the Crypt but the number of gore filled series currently on the air is higher than it’s ever been. The growth of horror programming has largely been driven by the explosion of original cable programming in the US. 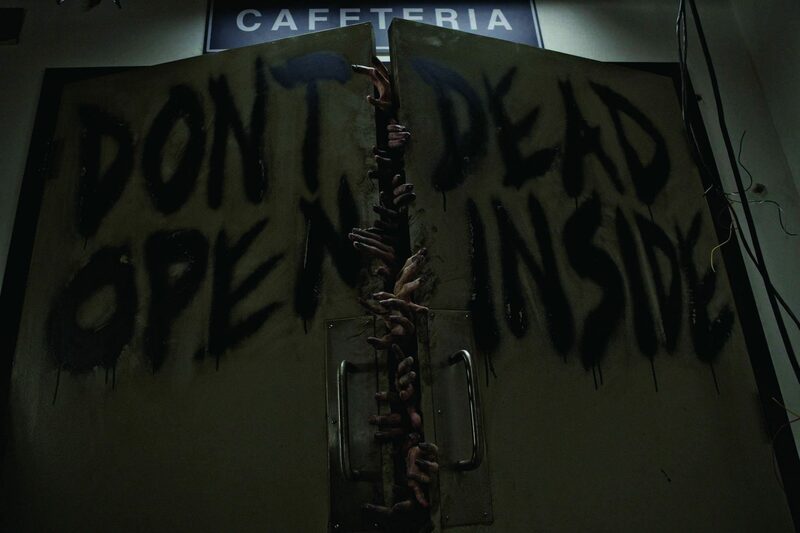 The Walking Dead has been one of the most successful series in the genre. The series, which is produced by Gale Anne Hurd’s Valhalla Motion Pictures, Darkwood Productions and Circle of Confusion, airs on AMC and is moving into its third season. Fox International Channels picked up the global rights to the series, which has been a global smash, and Entertainment One (eOne) distributes it internationally. Premium network Starz is also getting into the horror genre and is developing Vlad Dracula, a reboot of the classic Transylvanian tale. The company is working with Rob Tapert, who has worked on horror movies Evil Dead and The Grudge as well as Starz hit Spartacus, and Roy Lee, who has produced The Ring, The Strangers and The Woman in Black and is well known for remaking scary Asian films in the US. Thor and Underworld: Awakening writer J. Michael Straczynski is writing. The project, which is still at development stage, blends the historical facts of the 15th Century Prince of Wallachia with fictional vampire elements. The show will trace Dracula’s evolution from feared ruler to blood sucker. Starz managing director Carmi Zlotnik says that the company was approaching it from the point of heightened reality rather than all out gore fest. “It’s very much an origin story of how Vlad becomes Dracula and exploring what it means to be the world’s first Dracula,” he adds. Meanwhile, one show that doesn’t shy away from the glaringly gory and freakishly spooky is American Horror Story. The Ryan Murphy-created show, which is produced by 20th Century Fox Television for US cable network FX, is the most extreme horror series currently on television. Fox’s international sales arm helmed by Marion Edwards, has sold the first season of the show to a raft of international broadcasters including Australia’s Network Ten, Spain’s Cuatro, South Africa’s M-Net and Chinese online streaming service Youku as well as inking a global deal with Fox International Channels covering Europe, Asia and Latin America. Production is currently underway for the second season of the anthology series, which will see an entirely new cast and haunted house scenario. The second installment, which launches in October, is titled American Horror Story: Asylum and takes places in a mental institution. Jessica Lange returns from the original and is joined by Chloe Sevigny, Joseph Fiennes and Adam Levine. American Horror Story and The Walking Dead appear on general entertainment channels, but there are a number of niche horror networks springing up with ambitious original plans. FEARnet teamed with horror auteur Adam Green, creator of Hatchet and Frozen, to launch its first-ever original series Holliston. The first season of the show was so successful for the channel, which is a joint venture between Sony Pictures Television, Lionsgate Entertainment and Comcast and is run by Saw producer Peter Block, that it has renewed it for a second season. The show, which is produced by Green’s ArieScope Pictures, Hacienda Films and A Bigger Boat Productions, is set in the small town of Holliston, MA and stars two friends who dream of being famous horror movie filmmakers. Twisted Sister lead singer Dee Snider guests as a heavy metal obsessed owner of a local access cable channel. “Holliston is my own unique take on the traditional multicamera sitcom, drawing upon experiences from my life,” says Green. Chiller is FEARnet’s main rival in the spooky space and has been growing year-on-year. The NBC Universal-owned network shares a number of programming executives with its sister channel Syfy and they hope to replicate the science fiction network’s trajectory to become one of the top five cable networks. The channel airs a number of off-net series including Buffy The Vampire Slayer, Harper’s Island and Bryan Fuller’s Dead Like Me and is starting to gain traction with its original movies. It has commissioned Synthetic Cinema International to produce haunted house TV movie Dead Souls, which stars The Amityville Horror’s Jesse James; Glass Eye Pix to produce underwater horror film Beneath, which stars Breaking Bad’s Mark Margolis and is directed by Larry Fessenden, who has worked on The Orphange with Guillermo del Toro and on NBC’s Fear Itself; and The Monkey’s Paw, which is produced by TMP Films and stars High School Musical’s Corbin Bleu and based on WW Jacobs short story. Online streaming service Netflix is also getting into the gore game. The company has greenlit Hemlock Grove, the first television series to be produced by Hostel director Eli Roth, as part of its debut original programming slate. Hemlock Grove, which stars Famke Janssen and Bill Skarsgard, is based on the novel by Brian McGreevy. It tells the story of the murder of a young girl, the strange happenings at a local biotech facility, a Gypsy kid turned werewolf and the mysterious family that runs the town. The 13-episode series is produced by Gaumont International Television. Roth, who also directed Cabin Fever and recently opened Goretorium, his own haunted house attraction in Las Vegas, was attracted to the new medium of Netflix, which will air the series in the United States as well as other territories where it has launched its streaming service including Latin America, Canada, UK, Ireland and Scandinavia. Gaumont International Television is launching the series internationally at MIPCOM. “The deal structure is different [with Netflix] but day to day in terms of the TV production, it’s the same as a premium pay network,” adds O’Connell. The US arm of the French production studio is also launching a second scary title next year and is currently in production with Hannibal, written by Pushing Daisies’ Bryan Fuller, which was ordered straight to series by NBC. The fact that a major broadcast network has commissioned a 13 episode series based on Silence of the Lambs’ Hannibal Lecter is revealing. That is not true for Warner Bros’ The Following, one of the most brutal and nasty network pieces; the pilot contains a scene where a naked woman stabs her own eye out with a pen. 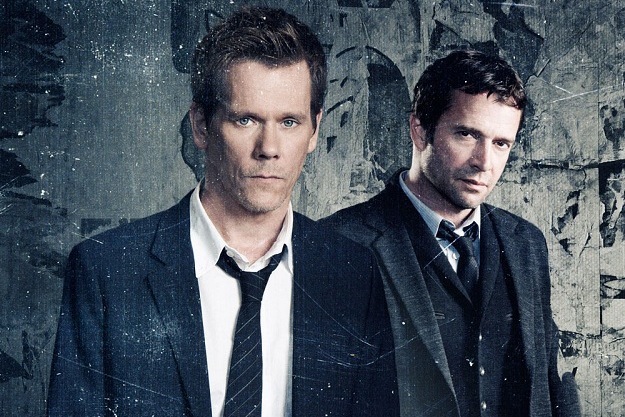 The show stars Kevin Bacon as a troubled FBI agent trying to recapture killer James Purefroy. Warner Bros is also distributing supernatural series 666 Park Avenue, the Terry O’Quinn-fronted series, produced by Alloy Entertainment. “It’s a bit like Rosemary’s Baby,” Schlesinger says. While, none of these series has launched yet, the broadcast networks are still developing horror ideas for next season. The CW has tapped American Psycho writer Brett Easton Ellis to create Copeland Prep, a one-hour drama set in a high school so competitive that it’s literally turning its students into monsters. The show is Easton Ellis’ debut television project and he has teamed with Gossip Girl producers Josh Schwartz and Stephanie Savage and Twilight director Catherine Hardwicke to develop the project. Horror is one of the biggest draws at the global box office (after comic book superheroes), which often leads to film projects being spun-off into television series. US cable net A&E is working with Lost showrunner Carlton Cuse to develop Bates Motel, a TV series based on Alfred Hitchcock’s Psycho. The broadcaster has ordered 10-episodes straight to series from Universal Television. The drama is a contemporary look at a young Norman Bates and his relationship with his mother. Charlie & The Chocolate Factory’s Freddie Highmore stars as Norman Bates and Up In The Air’s Vera Farmiga is playing Norma Bates. Meanwhile, MTV also has a television reboot of Scream in development. The youth-skewing broadcaster is working with former executives Tony DiSanto and Liz Gately, who formed DiGa with Ben Silverman’s Electus, on the series, which is based on the 1996 movie that was written by Kevin Williamson, directed by Wes Craven and starred Neve Campbell, Courteney Cox and David Arquette. The majority of television horror projects emanate out of the United States. However, the horror business is a global industry and there are hot pockets of horror around the world, particularly in Japan and Spain. In fact, Spanish film director Paco Plaza, the creator of breakout feature [REC], is working on a Spanish horror project backed by Fox Television Studios, the international production arm of the News Corp-backed Hollywood studio. Plaza is writing and directing one-hour horror thriller Hamelin for an unnamed Spanish broadcaster. The series, which is inspired by the Pied Piper fairytale, follows a team of FBI agents trying to solve the disappearance of five children in the woods. As well as the Spanish version, Plaza is working with FtvS to adapt the project into English. Todd and The Book of Pure Evil has been one of the surprise international horror hits of recent years. 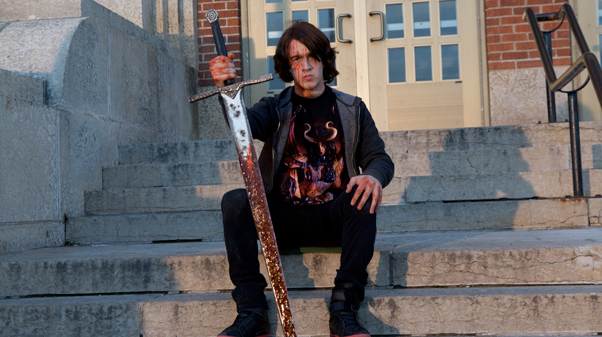 The show, which is based on a short film created by Craig David Wallace, Charles Picco and Anthony Leo, tells the story of a group of high school students who receive a demonic book. The show was commissioned by Space in Canada and has been sold extensively by eOne to broadcasters including Syfy in the UK and Fearnet in the States. Unfortunately, however, the show has not been renewed by Space. “It’s a funny show with a cult audience,” says Fraser. “We are in discussions with the producers as to whether to bring it back as a web series or a film. We’re trying to figure out the brand extensions now,” he adds. As with other major drama genres, international coproductions are essential to create big-budget series. British pay TV broadcaster Sky Living has recently teamed up with US network NBC and Downton Abbey producer Carnival Films & Television to launch (another) take on Dracula. The Tudors’ Jonathan Rhys Meyer will play the eponymous blood sucker in the ten episode series, which will see Dracula move to London posing as an American entrepreneur who maintains that he wants to bring modern science to Victorian society, but is in fact looking to wreck havoc on the city. Dracula has been written by comic book writer Cole Haddon and will be exec produced by former HBO Films boss Colin Callender, 24’s Tony Krantz and Carnival founder Gareth Neame. The Bram Stoker-themed series was commissioned by Sky’s head of drama Anne Mensah. Paul McEvoy, programming coordinator at British pay broadcaster Horror Channel and founder of successful horror film festival FrightFest, says that he hopes the success of the genre in the States will mean British broadcasters follow suit and ramp up the number of scary shows they commission. “British TV leads the way but horror has fallen by the way side. It would be nice if someone would commission something horrible and nasty,” he says. Tags: 20th Century Fox Television, A+E, ArieScope Pictures, Chiller, Entertainment One, FEARnet, Gaumont International Television], Horror Channel, MTV, Netflix, Starz, Valhalla, Warner Bros.